Led by the University of Sheffield's Department of Music with the University of Westminster's Faculty of Media Arts & Design, this project aims to develop a new understanding of the ramifications of digital resources for development and change in the content, concept and practice of folk arts in contemporary England. With the continual unfolding of new digital technologies and possibilities, digital resources are beginning to play a significant role in the activities and experiences of “grass-roots” musicians and dancers, singers and dancers in England’s contemporary folk scene. There has been a considerable growth in the popularity and profile of folk arts in England over the last fifteen years; within this wave of new interest, internet-based resources have introduced new participants to repertory, skills and information. Simultaneously, developments in solid-state digital technology mean that musicians and dancers are now making recordings of themselves and others (for instance, in sessions, using portable digital recorders or smartphones). Far from being passive consumers of this digital media, musicians and dancers are actively developing new ways to assimilate and utilise the materials they find and generate. Amateur and professional musicians and dancers are engaging with a growing wealth of digital resources ranging from internet-based archives (e.g. The Full English) to self-generated recordings and transcriptions. The extent and nature of the impact of these digital/digitised materials to individuals, groups, amateurs, professionals and activists within England’s folk scene are as yet somewhat assumed, largely unclear and under-examined, and the focus of the ‘Digital Folk’ project. ‘Digital Folk’ will look in detail at the uses, distributions and impacts of digital/digitised materials (e.g. recordings/transcriptions/manuscript reproductions) within English folk arts cultures. The research will involve observing musicians and dancers and dancers as they utilise or otherwise engage with various materials, and will move towards building a picture of the ways in which users interact with different types and formats of resource. It will look to understand how such materials impact on the ways in which folk musicians and dancers interact with each other, and will consider the online networks and relationships that emerge between the practitioners, in order to discover how the sharing and exchange of such materials transform the social nature of folk culture. Finally, it will examine the ways in which, and extent to which, digitally-oriented activities intersect with face-to-face “real-world” interactions, and how the modernity of such activities is accommodated within new concepts of ‘tradition’. 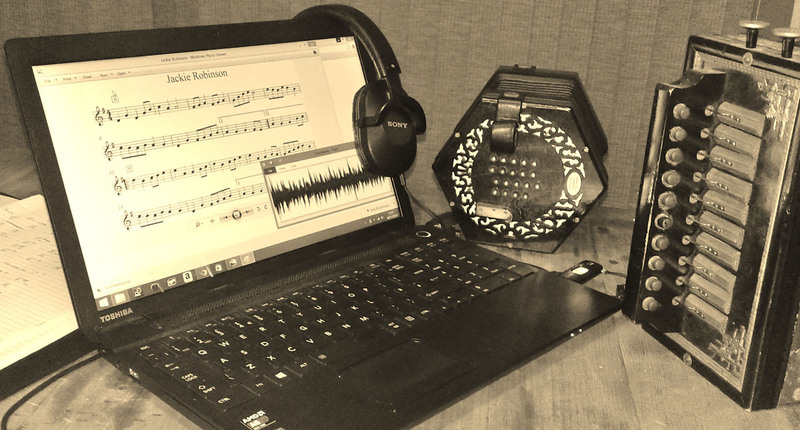 How do traditional musicians and dancers in England use digital resources? What are the most common uses of such resources by folk musicians and dancers? What opportunities are folk musicians and dancers able to explore through those resources? How do folk/traditional musicians and dancers in England conceptualise their engagements with digital resources? Do they consider the use of modern digital tools and media in relation to the “traditional” nature of the music they perform? If so, how? What are the emerging impacts of digital resources on the artistic and cultural attributes of England’s folk arts? What impacts can be observed, and what affects appear imminent?